My wife has a great love for claw foot tubs, while I have recently become intrigued by copper bathtubs. 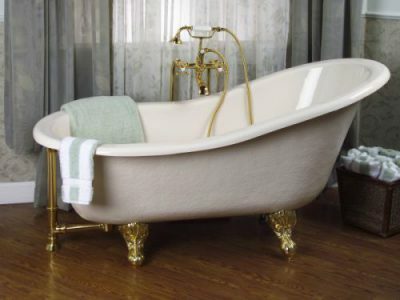 While researching the history of bathtubs, I learned some interesting facts and folklore about tubs and bathing. The earliest findings of bathtubs dates back to the palace in Knossos, Crete in the 2nd millennium BC and were made of porcelain and alabaster. 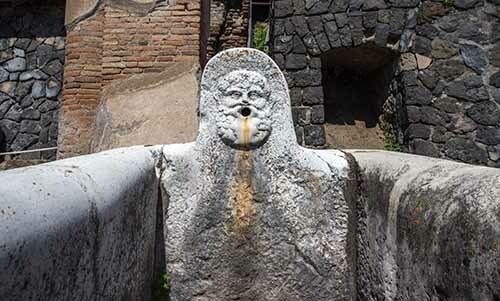 The Greek and Roman empires were known for their public baths. The Roman aqueduct system supplied water to towns for the baths and fountains and to private homes. Because of the stigma of mixed bathing, the early church built public bathing facilities separate for men and women. Bathing eventually moved more to private homes during the Middle Ages. The need for personal hygiene and bathing became apparent with the infamous pandemic of bubonic plague in 1347 that killed a third of the world’s population (perhaps as many 200 million people). Most tubs were made of wood with a cloth in the bottom to prevent splinters. Public bath houses became popular again in England in the early 1800’s. The early settlers to the colonies continued to bath in wooden barrels or basins. There are various reports of the wealthy bringing tubs over from Europe and it has been said that Benjamin Franklin bathed in a copper tub. St. George Tucker is said to have the first copper tub in America when he put one in his barn in Williamsburg, Va. Copper tubs were popular among French nobility including Napoleon Bonaparte. Frequency of bathing during this time was about once a month, although some historians say it was not uncommon for some to bath only several times a year. Once a week later became the most frequent. The whole family bathed in the same bath water since it was usually filled from a steam or well and had to be heated. The claw foot tub became popular in the early 1800s with differing reports on who invented this classic tub. The tubs were made of cast iron and covered in porcelain or enamel. John Michael Kohler is said to have added the legs to a horse trough in 1883 and is credited as the inventor of what we now call a claw foot tub. After World War II, the freestanding tub was replaced by built in models made of easy-to-clean materials like porcelain and available in a variety of colors to match the décor. Today, the trend has reversed. With homeowners building more spa-like bathrooms, the claw foot tub with the slipper end is a popular choice for luxury bathing. 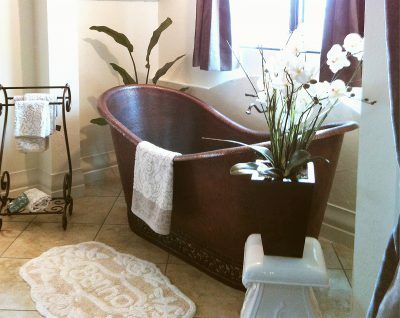 Instead being made of heavy cast iron like the original claw foot tubs, they are made of acrylic or fiberglass. Copper tubs are also popular in luxury bathrooms and bring back memories of a bygone era. Remember the old TV Westerns where the cowboys went to the bath house and bathed in a large copper tub after a long cattle drive? Maybe your grandmother had a copper tub. Copper tubs add a beautiful warm luster to your décor and will produce a unique patina. Numerous studies show that the life span of certain bacteria is significantly shorter on copper than on nearly any other surface. Copper is also a good conductor of heat so your bathwater stays warm longer. Copper goes with most any design scheme. Another major advantage of copper is it is 100 percent recyclable and can be melted down and reused. When choosing a copper tub, look for one that is made from recycled copper. Also choose one that is thick. The lower the gauge of the copper, the higher the quality of the tub. Copper is known as the healing metal. 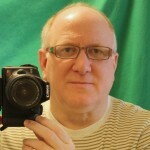 If it is scratched, the living patina will eventually cover the scratch. One drawback for copper tubs is the cost. Copper tubs are more expensive than other styles of tubs but will last a life time. 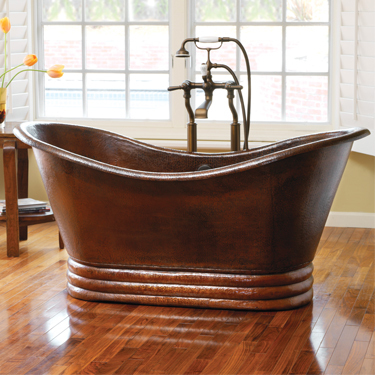 Van Dyke’s offers several models of copper tubs and acrylic claw foot tubs. You can see the selection at https://www.vandykes.com/bathroom-tubs/c/312/.